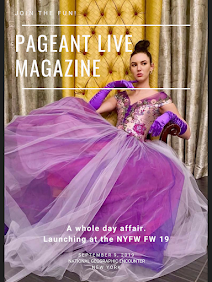 Miss Teen USA, Logan West, visited with our own Stephanie McGrane to talk about how it felt to hear her name called as Miss Teen USA, her year as Miss Teen USA, what’s next for Logan, and what advice does she have for teens wanting to become the next Miss Teen USA. How it felt to win Miss Teen USA…. Logan could not describe how she felt when she heard her name called as Miss Teen USA, and she couldn't really remember what she did. There was a feeling of pride and joy, realizing that she had won, and how it was a win for her family, friends, support system and the state of CT. She is the first Miss Teen USA from her state. Ask to put her feelings at the time into one word, she said... "Incredible!" Logan is a people person, so anytime she gets to interact with people that is “the best stuff”. Community service like Best Buddies and ProjectSunshine are a few highlights for Logan. Logan reflected: There is a sisterhood of winning, and it is hard for anyone to really understand what you are going through unless they are going through it as well. First there was Leila, then Olivia and Nana, and now Erin, and they are truly like sisters and Logan has really enjoyed them. 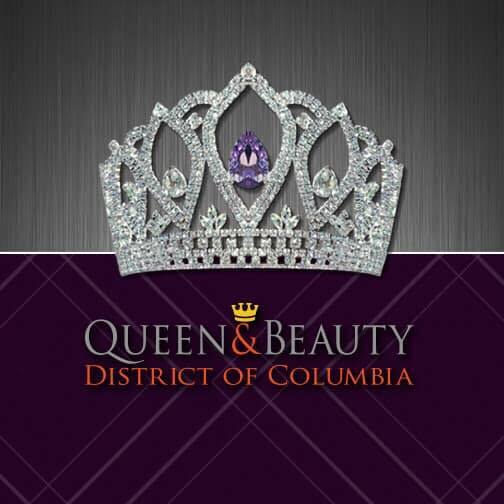 What is the most challenging thing about being Miss Teen USA? Trying to balance being Miss Teen USA and a college girl. Logan attends Pace University where she is a dance major. At first going from a Red Carpet event then back to the dorm room to finish up homework for the next morning was a bit tricky for Logan, but she caught on fast and got the hang of it and has been able to manage to the two different life styles. When Logan was 8 years old her mom went on a mission trip to South Dakota where she heard this story of a turtle. Her mom brought back turtle bracelets for Logan and her sister and explained the story to them. 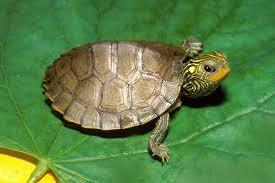 A turtle carries its home on its back, but can stick its head out into the world to experience different things. When a turtle gets nervous or scared they can always come back home. This is how Logan’s parents raised them, home is their safe place. No matter what they wanted to do or where they wanted to go their parents always let them know they could come back home. Now Logan admits that she has a bit of an obsession with turtles, everything from necklaces, bracelets, pillows, you name it she has it if it has a turtle on it! How old was Logan when she first started to compete in pageants? At the age of 5 Logan did her first pageant. It was a random thing where they needed one more contestant to fill up an age category, so Logan’s mom said she could compete. Her mom told her that she should go into the pageant to just have fun, but Logan was like “No way. I’m going to WIN!” And she did! Her parents weren't into the pageant lifestyle at the time, so she didn't do another pageant until she was 12. One thing her parents told her was they wanted it to be her decision to compete, they didn't want to feel like they were pushing her. Logan competed again at age 15, and then won Miss Teen USA at the age of 17. Will Logan compete for Miss USA someday? She honestly doesn't know. 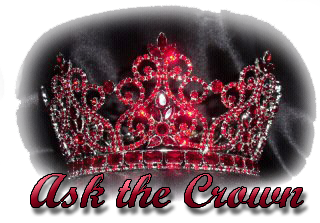 When she is asked that question, she tells people she is retired from pageants. She had a feeling when she wanted to compete for Miss Teen USA, so if she gets that feeling a couple years from now then maybe, but as of now she’s retired…. So she says very softly and quietly! Logan was bullied in school, so she decided to do something about it! Bully Proof was the original name, but it is now called Unite Against Bullies. 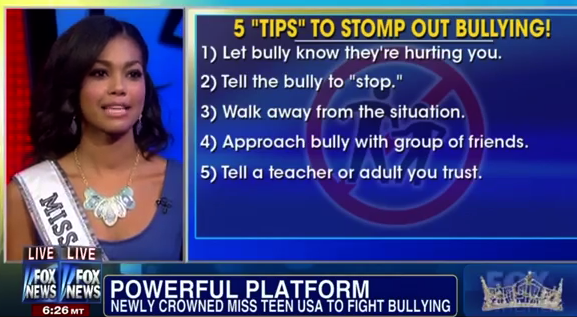 This program is designed to teach kids 5 steps on how to stop a bully. They are taught how to identify and manage a bully as well as how to gain more confidence in themselves. When Logan was in Middle School one of her classmates would tell her that she didn't “act” her skin color. This went on for six months. She said she was tortured and humiliated. Logan didn't know enough about bullying to deal with the situation. So after that she decided to make it her mission to turn that negative experience into a positive. United Against Bullies was supposed to be just for her home town, but it ended up spreading throughout the state. It also helped Logan to come to terms with what she went through and helped her to move forward. Logan was lucky enough to do Teen on the Seen at Miss USA, You will never guess who her favorite celebrity was to interview. IT’S A TIE!!!! The Jonas Brothers, because she is a fan, and Bob Harper because he was so nice. Logan likes the celebrities who really don’t act like celebrities and he just act like a regular people. Miss USA Erin Brady is ALSO from CT. What was your reaction when your state sister queen won Miss USA? Logan’s reaction was almost the same as her own reaction when she won Miss Teen USA. Logan said she was jumping up and down and screaming!!! Logan has known Erin for a few years. She has watched her compete at Miss CT, then at Miss USA. Logan said she wanted it for Erin and she is pretty sure she was just as nervous as Erin was. It was different for Logan because she knew all the girls competing where beautiful, but Logan knew Erin as a person and it made her want Erin to win 10 times more because she really is an incredible woman. What’s next for Logan? Will she continue dancing? Once Logan graduated high school she told herself she was going to go to school for dance, even though she knew she wanted to be a lawyer, so now she is in a tricky situation. She isn't ready to give up on her passion just yet, so for now she is going to finish her degree and see where it takes her. Logan has a lot of opportunities available to her now, she is also with a modeling agency for example, so Logan is exploring all her options but dance is still her passion. To all the girls out there who aspire to become Miss Teen USA this advice is for you. Stay true to who you are, sometimes in pageants you feel like you have to say the best answer or wear the best dress, but if you allow yourself to let loose and have fun and enjoy the moments instead of freaking out about them, you’ll be in a much better place. When Logan competed for Miss Teen USA, she went into the pageant saying she was going to do the best she could. She really didn't have any expectations, it was her first time in the Bahamas and she really wanted to enjoy it, whatever happened. If you go into the situation with the attitude that you can take something positive away for every experience, rather than just being focused on the crown, you’ll have a lot more fun and get a lot more out of it. From a recent data we have seen that the importance of the family balancing plan has no bounds. So there are lots of benefits of following a proper family balancing plan for a certain family. That should be decided by the family member by themselves.